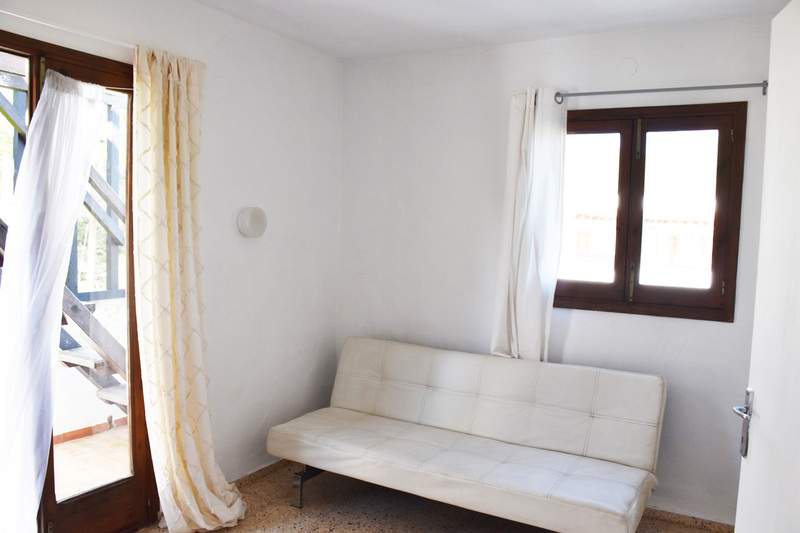 Charming 4 bedroom country home split into two separate apartments. 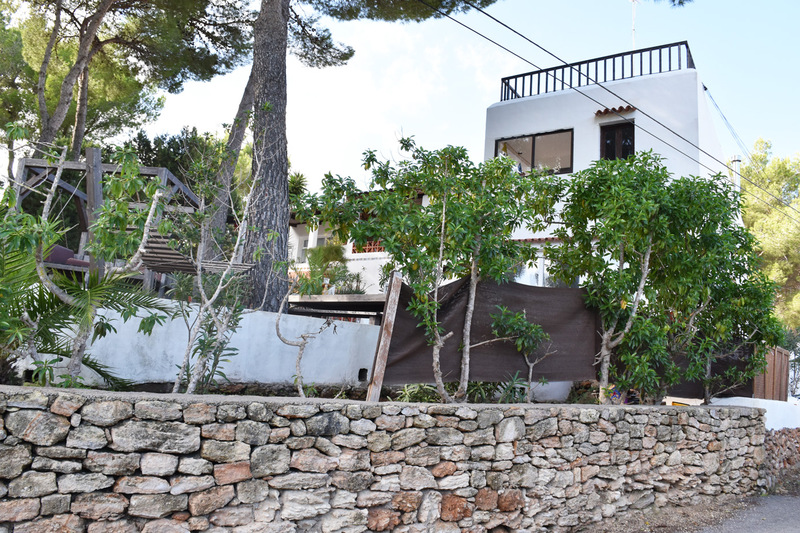 A quiet location and within easy reach of local beaches, the property comes with a small garden, a terrace and roof top terrace with sea views. 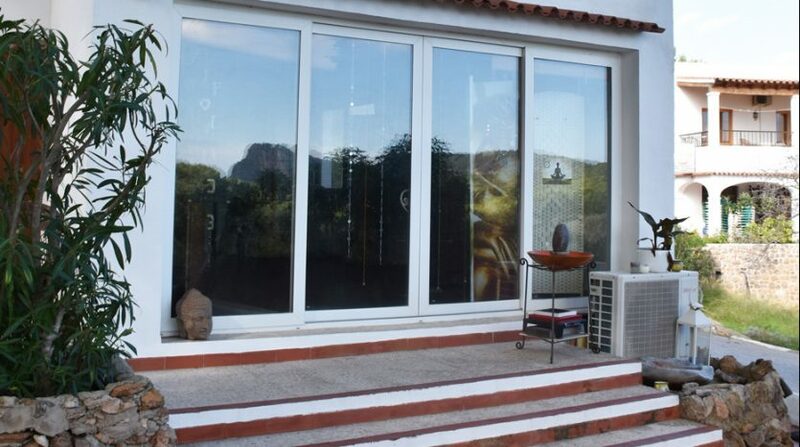 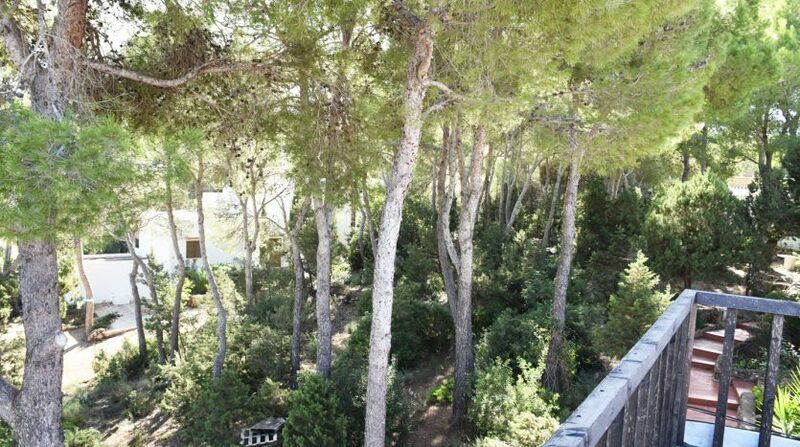 The perfect location and ideal as an investment, permanent home or holiday home. 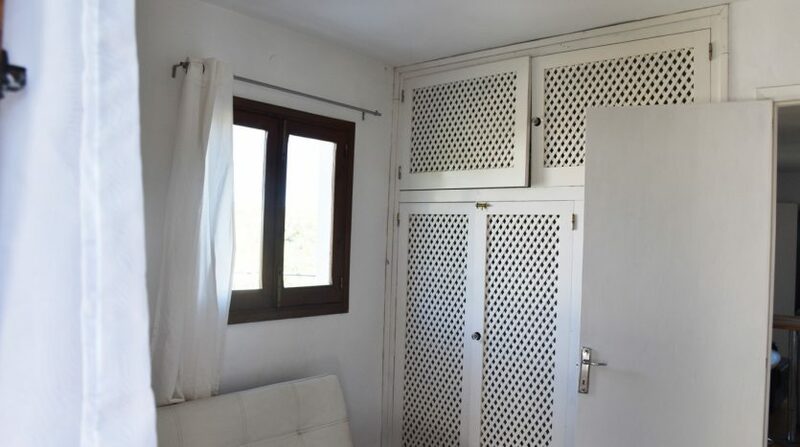 This charming country home offers a great deal of flexibility in terms of the way it is laid out and how it can be used in the future. 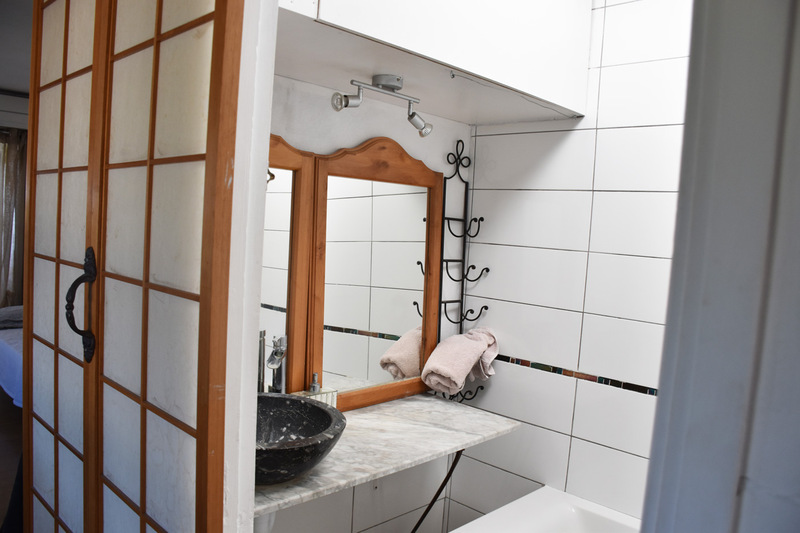 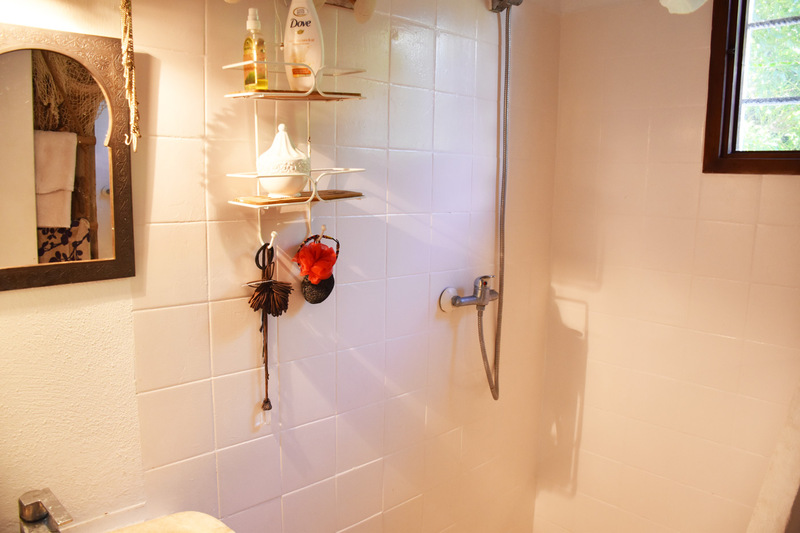 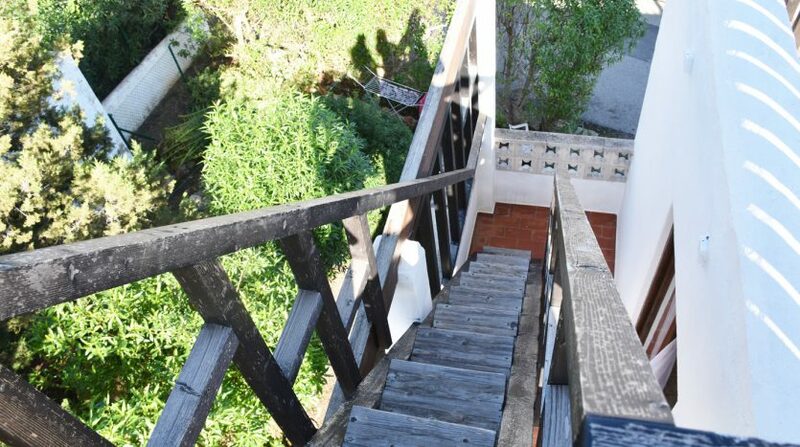 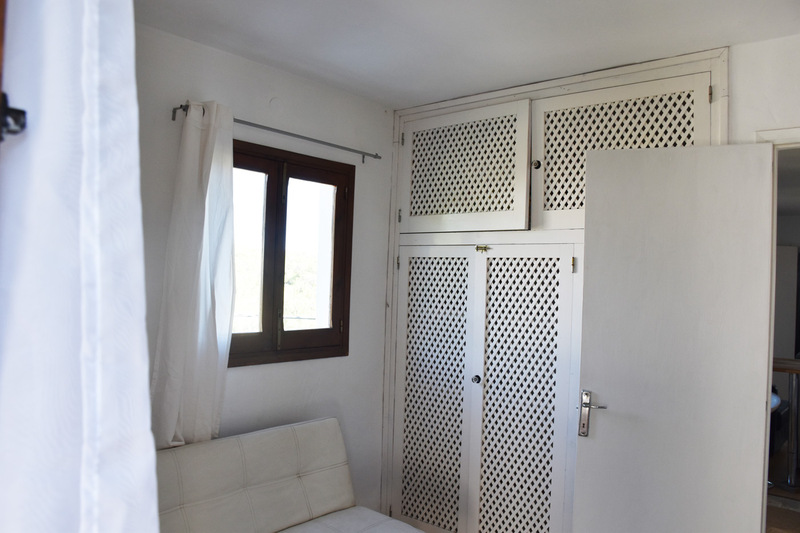 The property is made up of two separate apartments – both with 2 bedrooms one on the ground floor and one on the first floor accessed from an outside staircase. 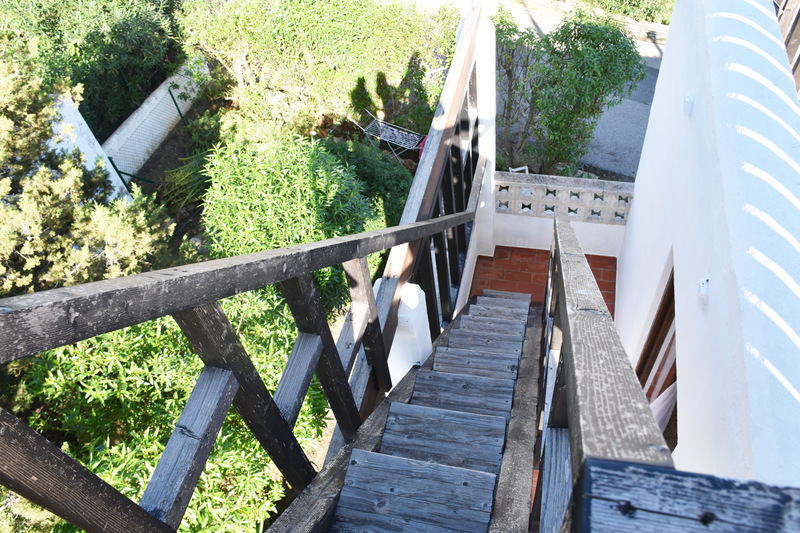 The property can be converted into a 2 level house with the addition of an internal staircase. 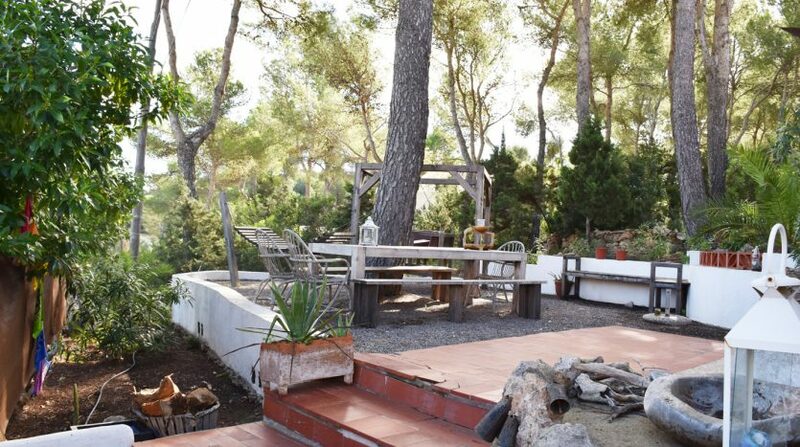 The location of the property is perfect for those wanting to escape the hustle and bustle of modern life and enjoy the “Ibiza vibe”, set in woodland with the sounds of birds and sheep grazing, a short walk brings you to the strand playa ( secret locals beach) and the attractive cove and beach at Cala Llenya. 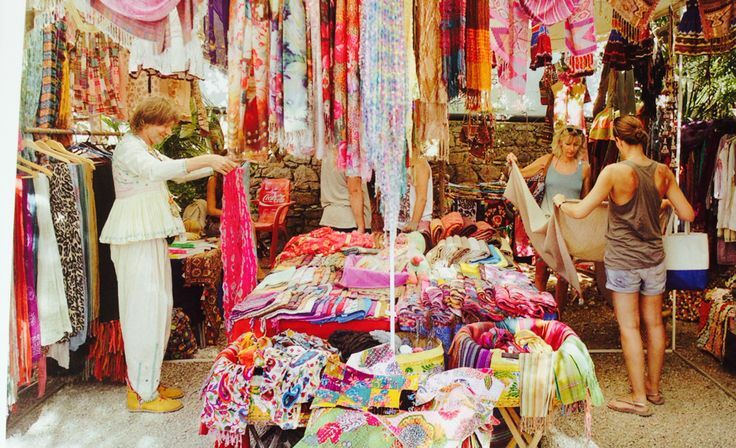 Just 5mins drive is the small village of San Carlos which in the past was a destination for those seeking a “hippy” lifestyle but now offers a cosmopolitan mix of residents offering a varied cultural scene. 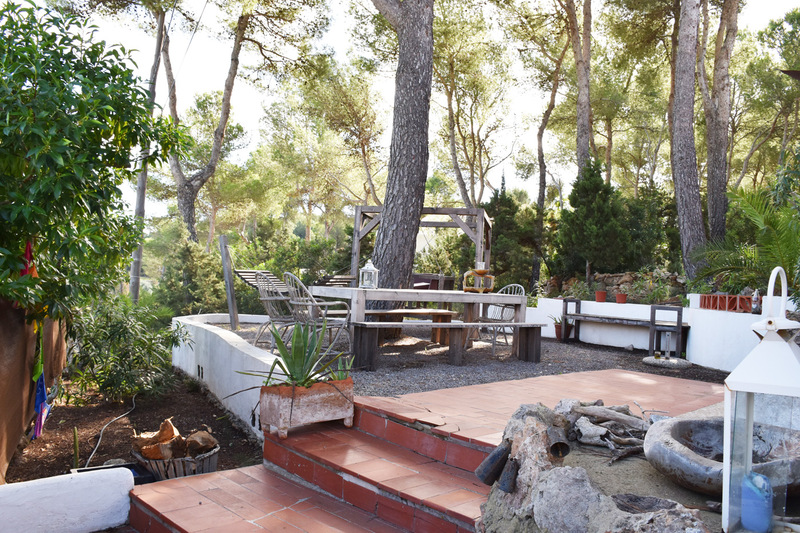 The house has a private garden at the front of the property which is perfect for alfresco dining. 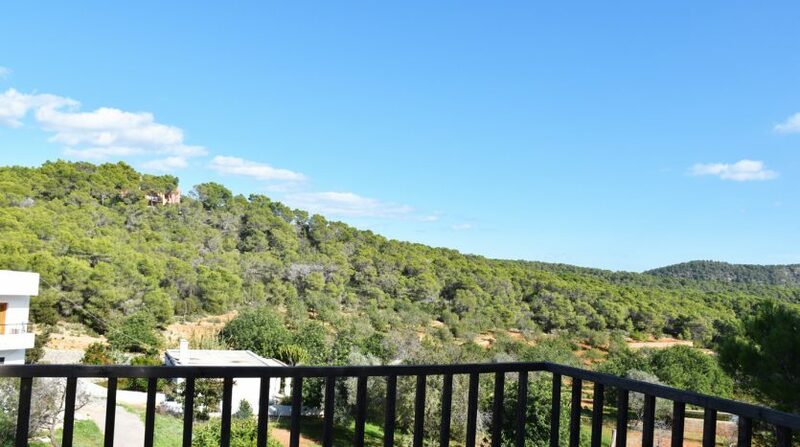 A terrace area leads from the living room of the ground floor apartment and on the first floor are two terraces perfect for relaxing and enjoying the views of the surrounding countryside – the first floor terrace has a sea view. 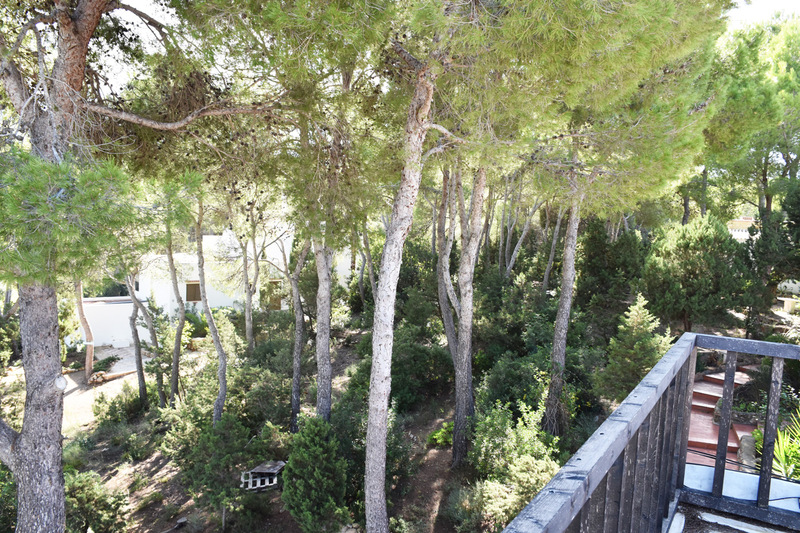 Steps up to a roof top terrace provide great views to the sea. 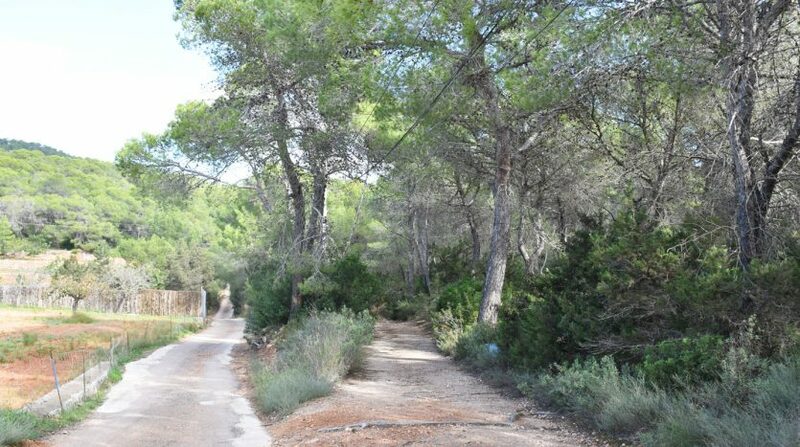 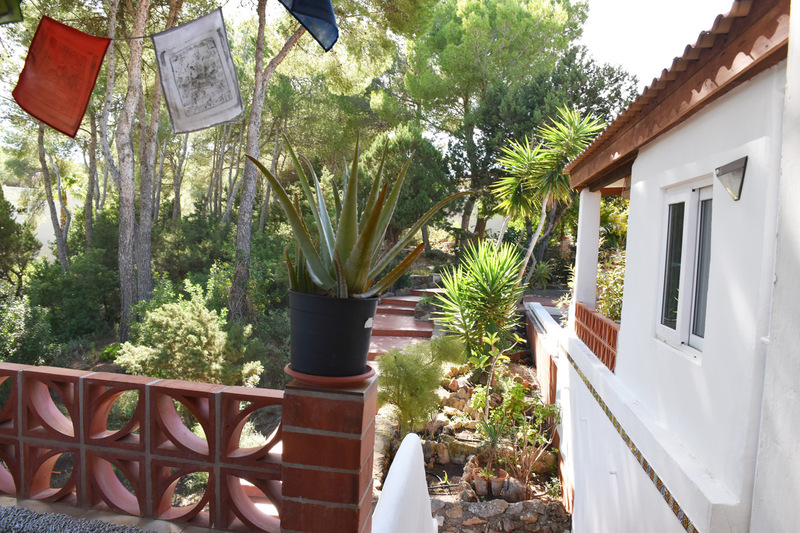 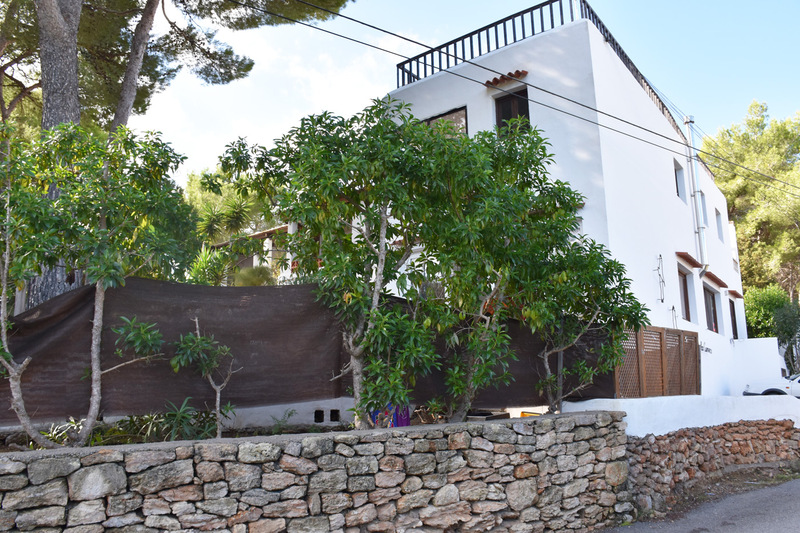 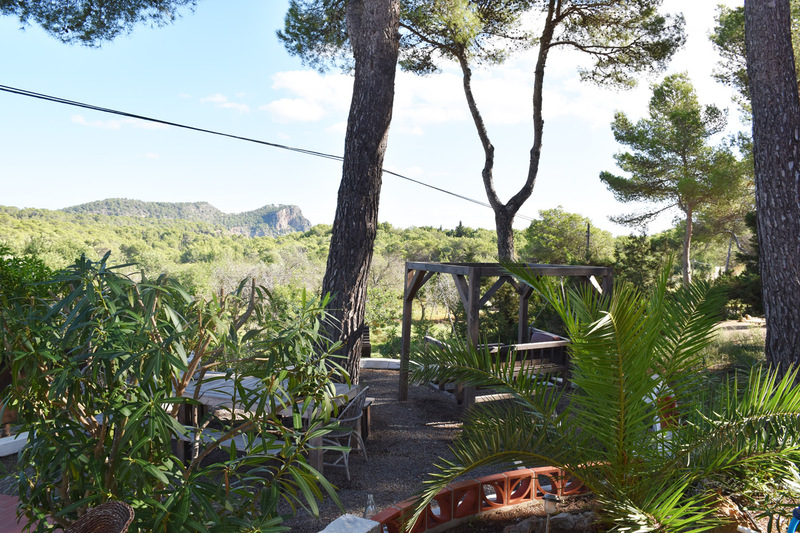 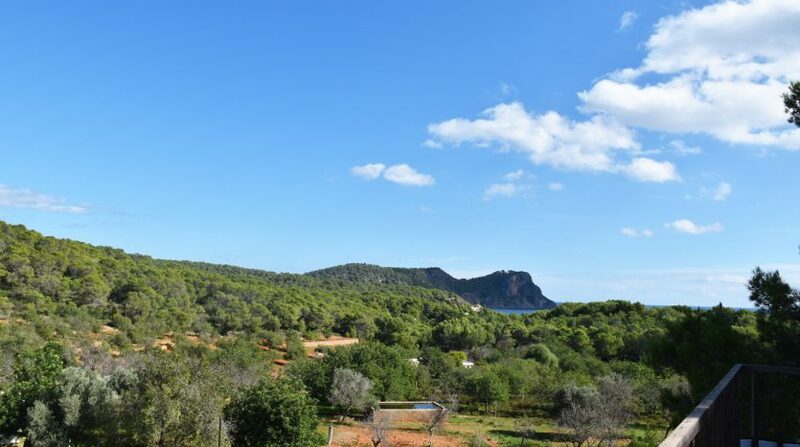 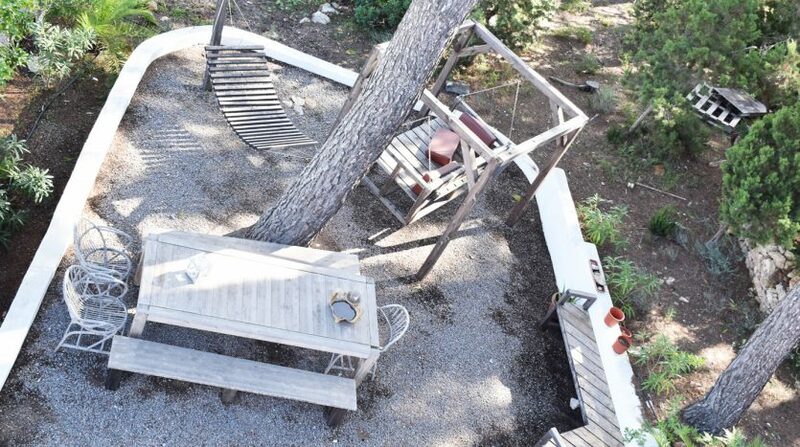 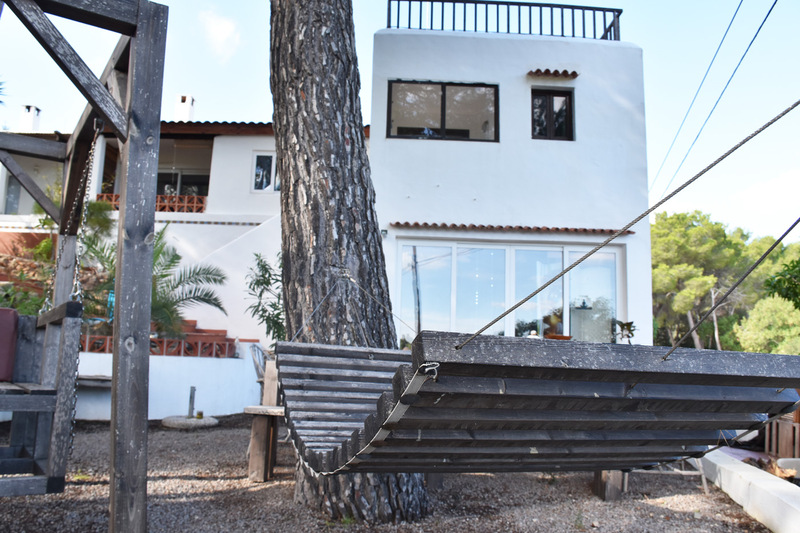 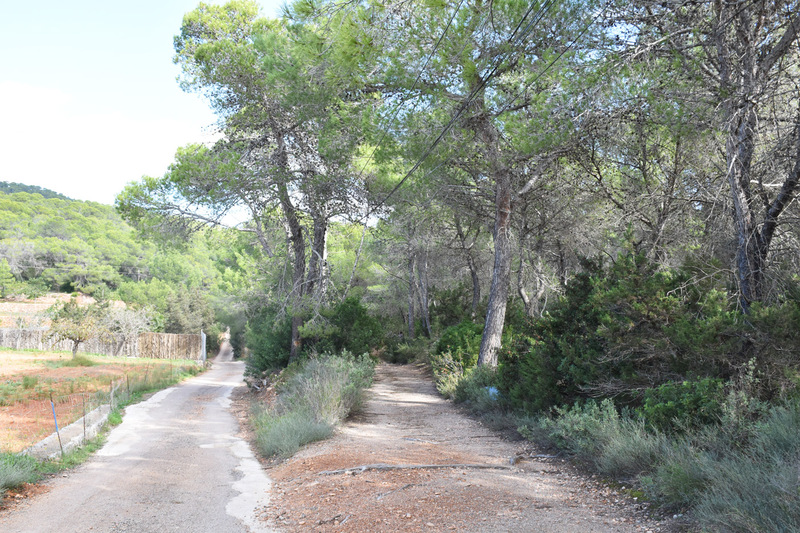 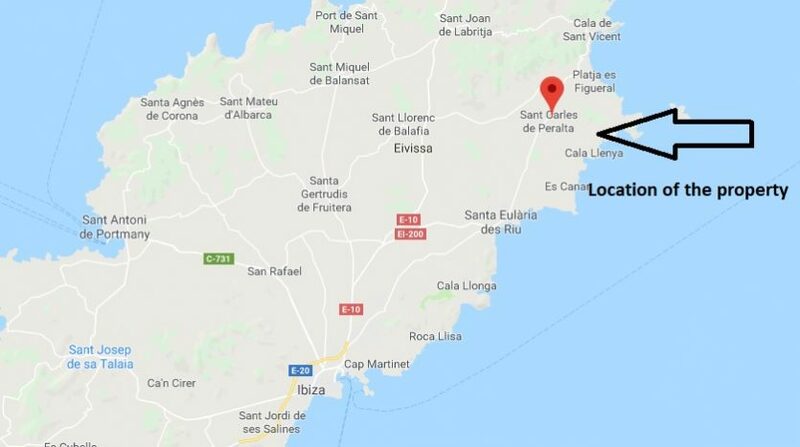 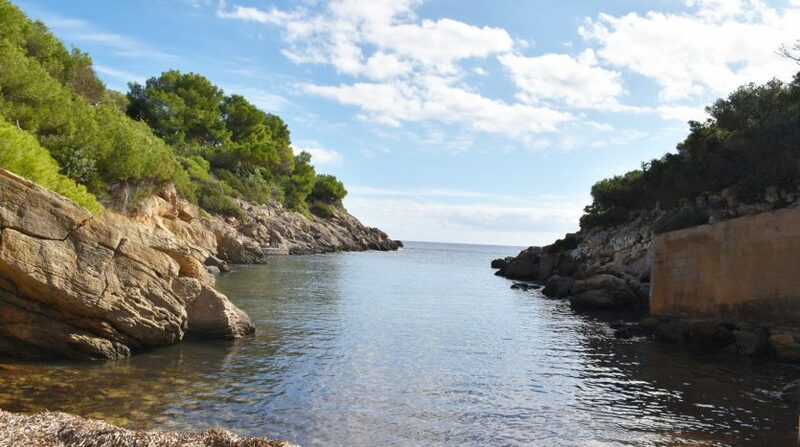 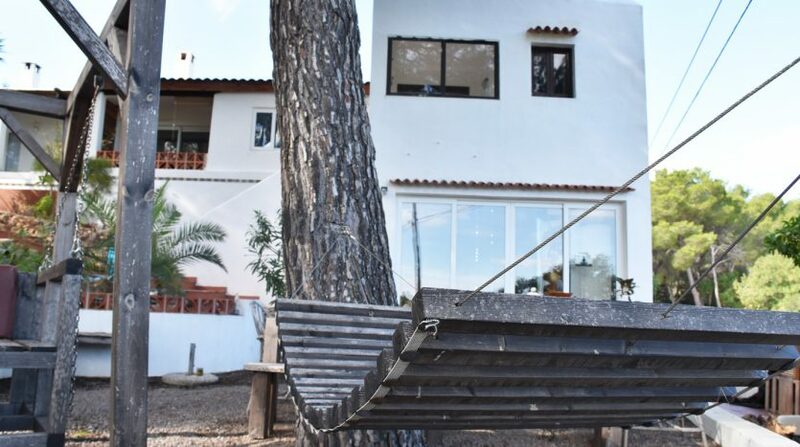 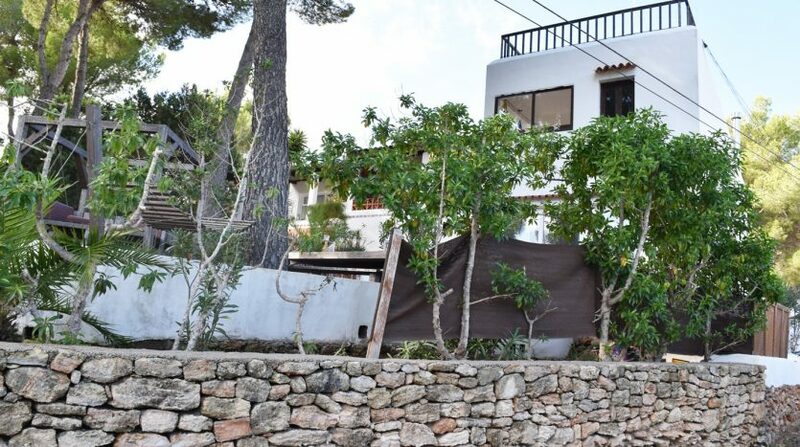 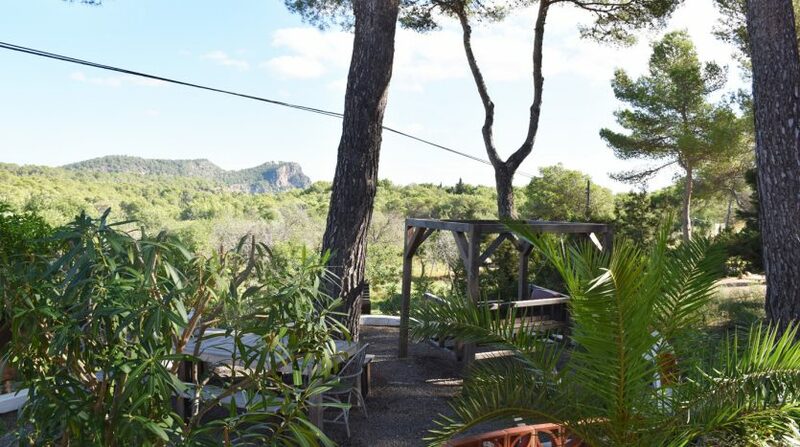 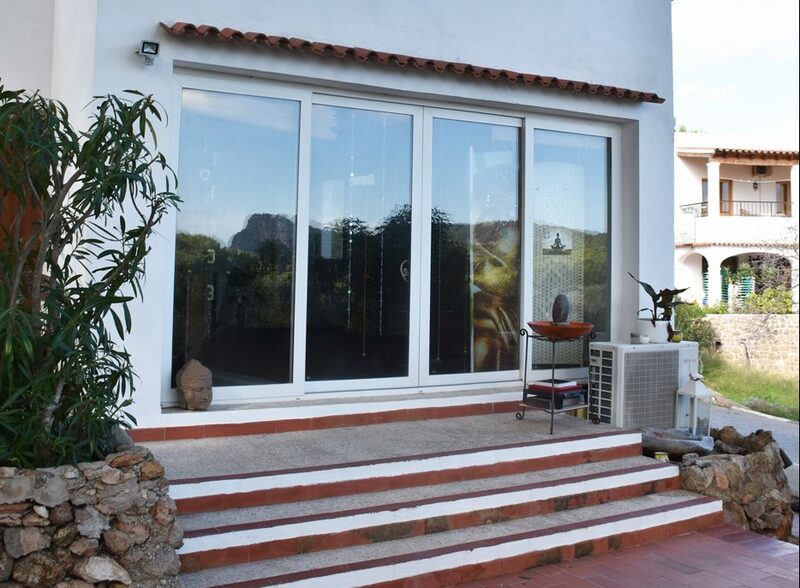 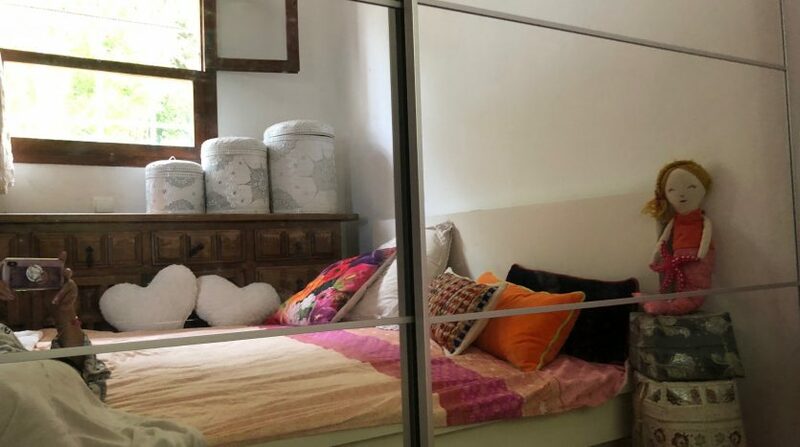 The location of the property is perfect for exploring this popular part of the island of Ibiza – close to local beaches the pretty cove of Cala Llenya and just 5mins from the popular village of San Carlos. 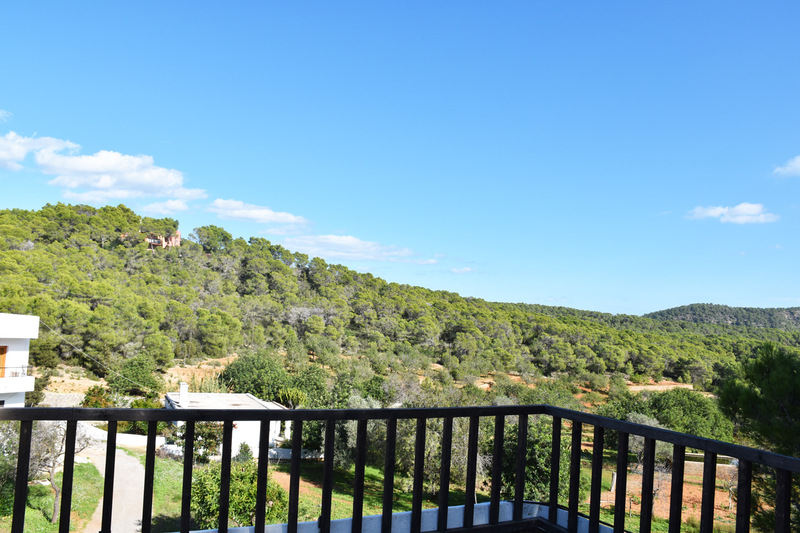 The area is a haven for people looking to escape the stress of modern life and the countryside, views and beaches are some of the best in Spain to enjoy this lifestyle. 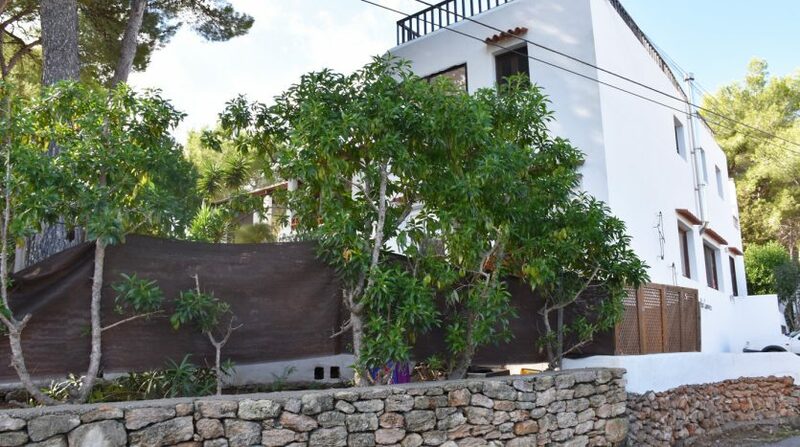 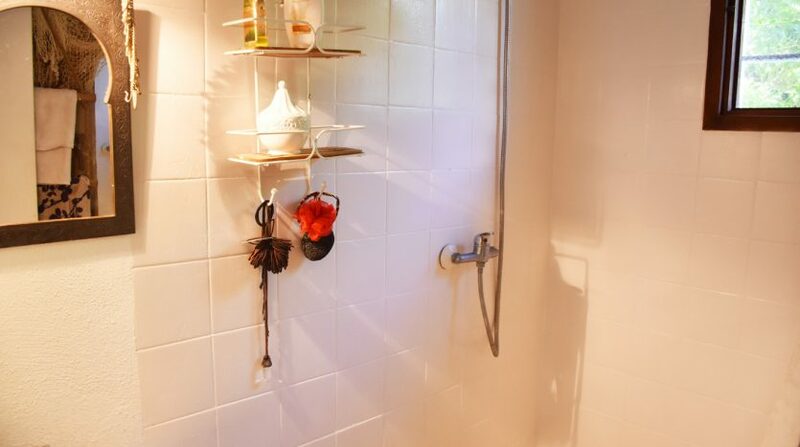 Santa Eularia is 15m drive away and offers plenty of facilities and shopping options. 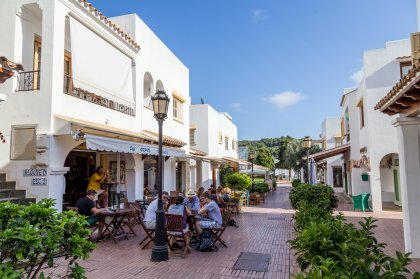 Ibiza airport can be reached in just over 30mins and the delightful old town of Ibiza, known as Eivissa in a little over 20mins. 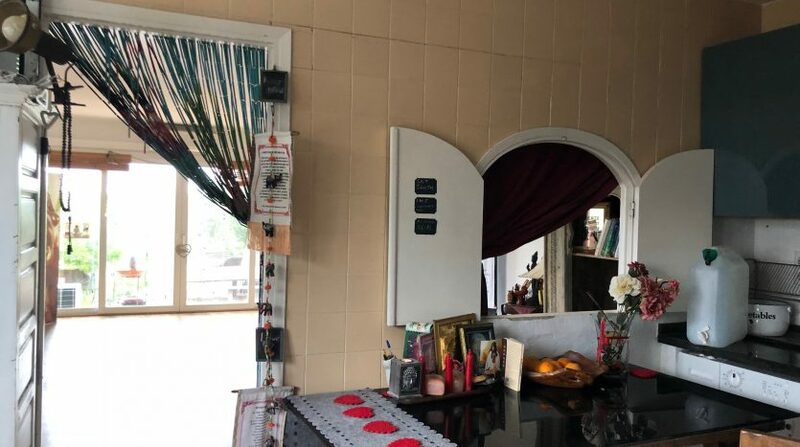 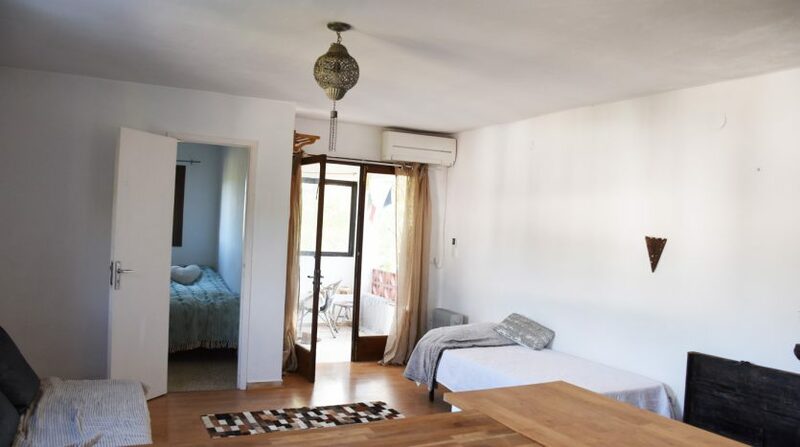 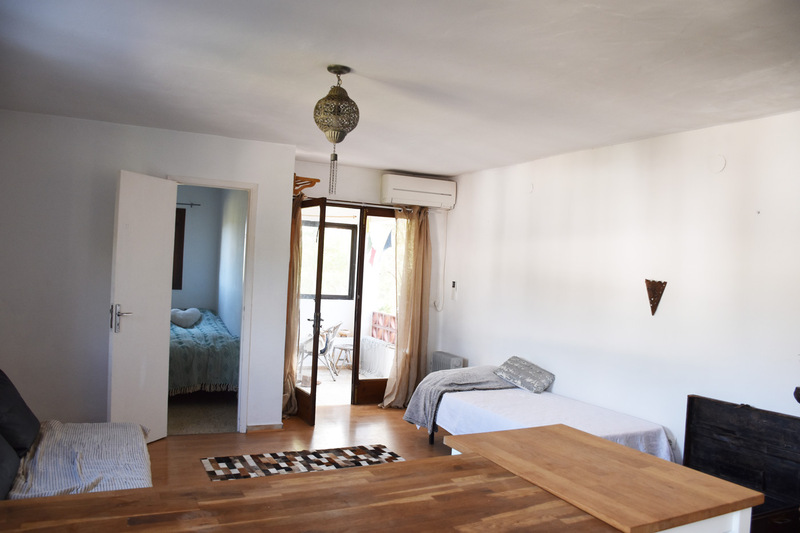 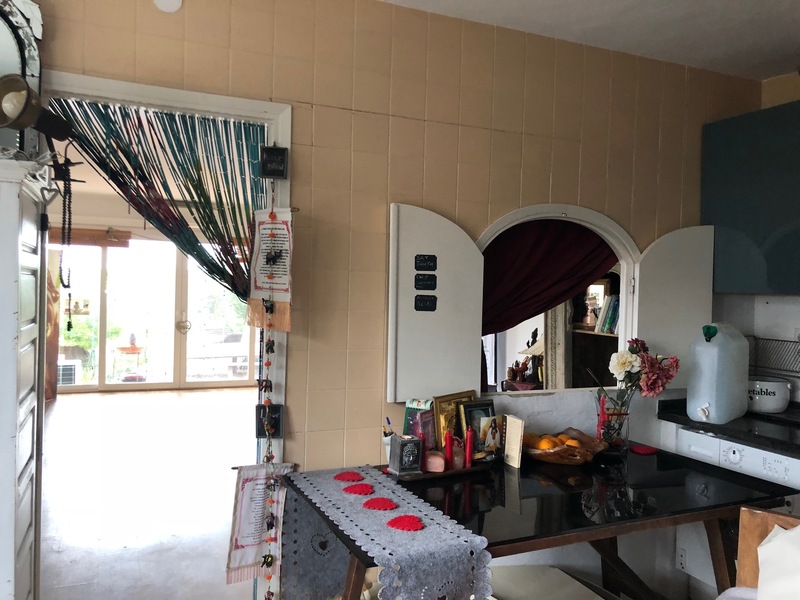 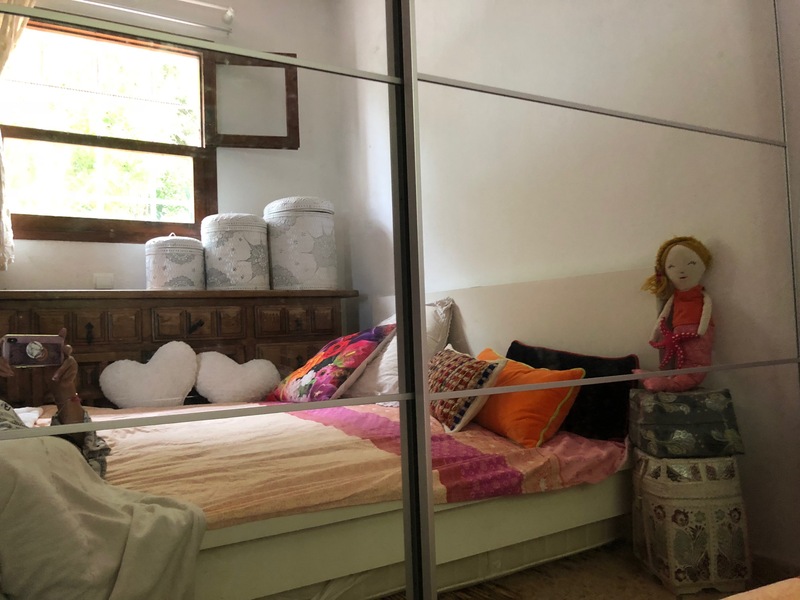 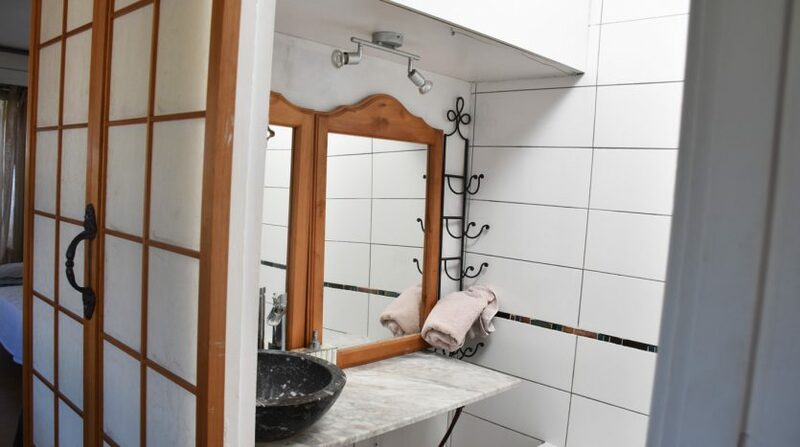 This is a delightful home with plenty of flexibility to suit many different uses in the future – live in one apartment and rent the other, rent them both for a great rental income or create one house across two levels with the insertion of an internal staircase. 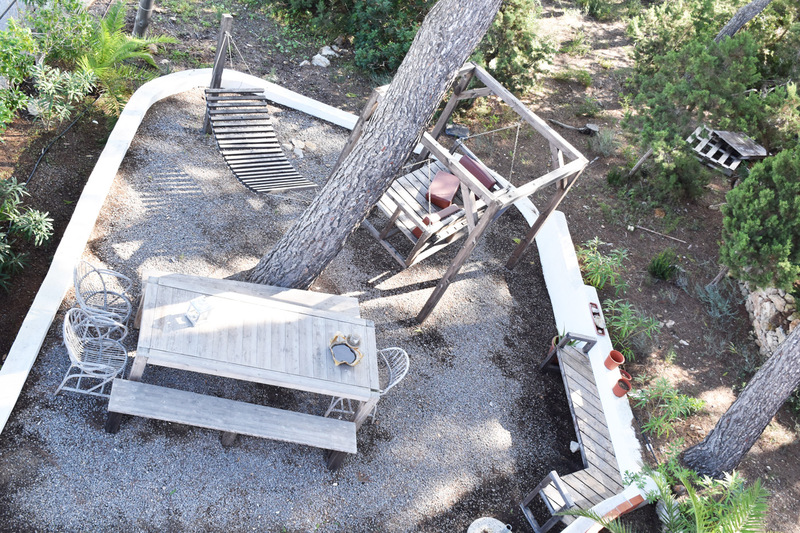 The location is perfect for relaxing and that’s one thing that will not change. 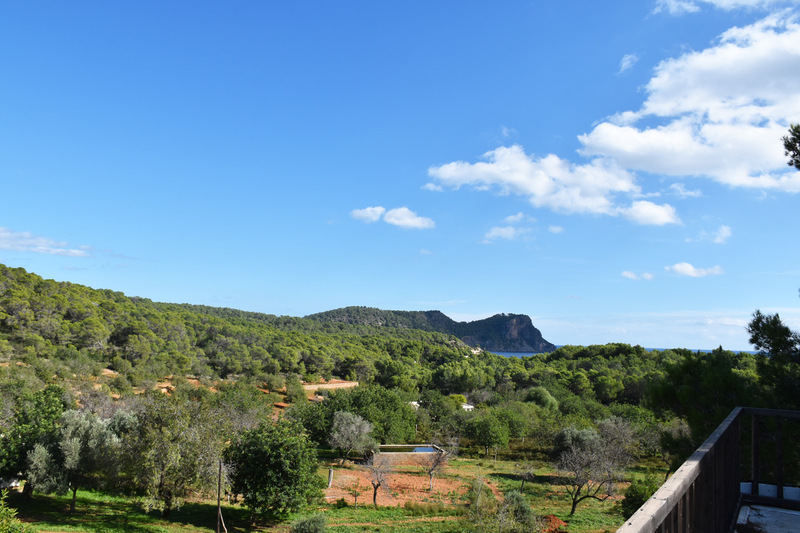 Ibiza has long been a popular destination and if you would like to know more, we can introduce you to Shira, the owner who will happily answer any questions or arrange a visit. 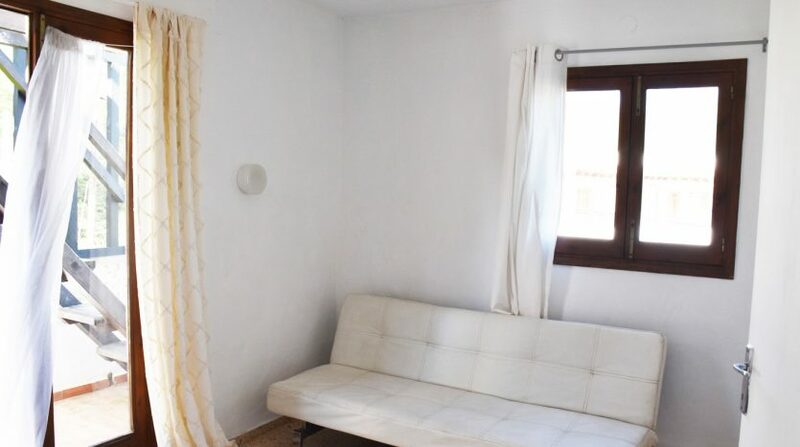 Charming 2 bedroom country home located within an established urbanization. 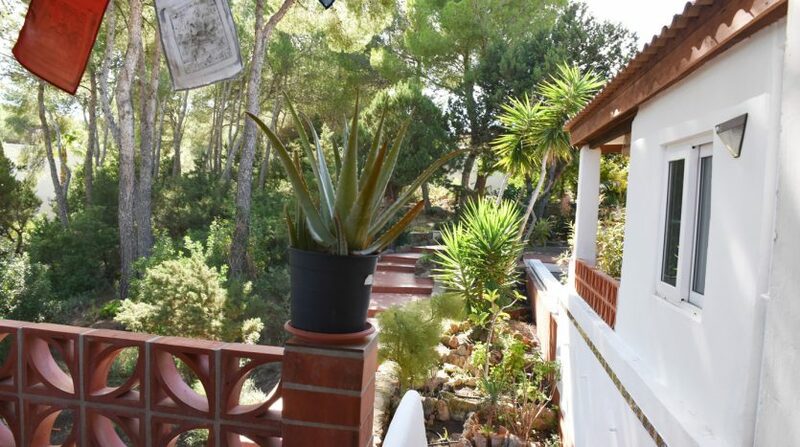 Terrific views, lovely gardens, a swimming pool and all presented beautifully. 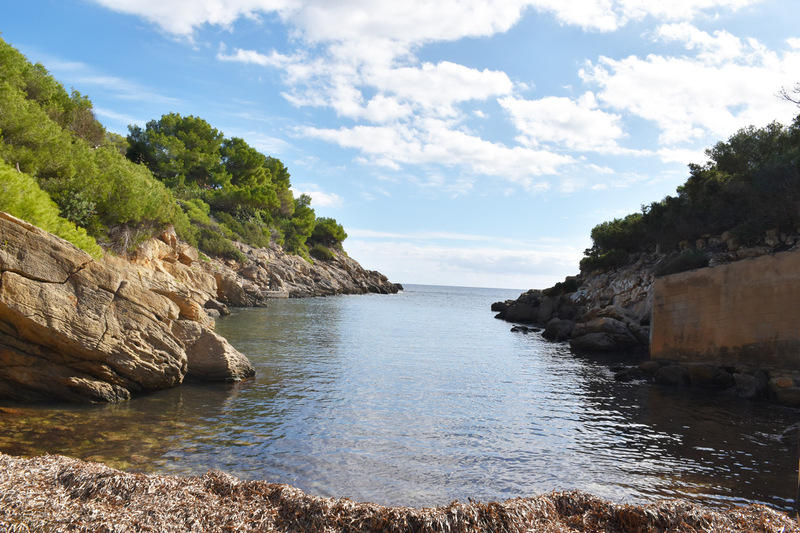 Perfect for exploring Barcelona and Girona and the whole of the Costa Brava.